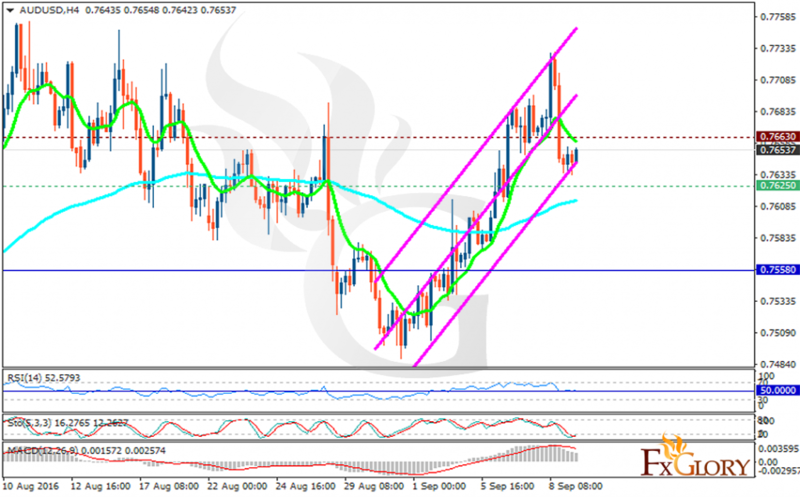 AUDUSD is under the influence of Australian Bureau of Statistics. The support rests in 0.76250 with resistance at 0.76630 which both lines are above the weekly pivot point 0.75580. The EMA of 10 is moving with bearish bias above the EMA of 100. The RSI has dropped to 50 level and is moving horizontally, the MACD indicator is positive territory heading down and the Stochastic is moving in its minimum rate. The pair seems bearish at the moment, it may fall towards the support area.